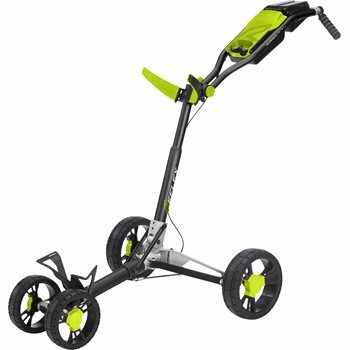 You can earn 230 yards with this purchase! Durable and sleek Patent-pending design that has a three-step folding method for easy access and storage. E-Z Latch System makes folding and unfolding the cart simple and the ergonomic and adjustable handle allows for the arms and shoulders to be in a natural position.